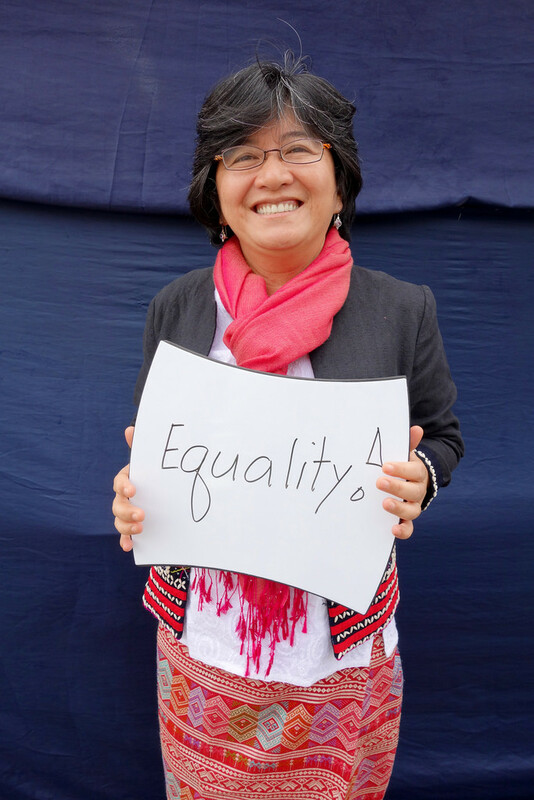 Joan Carling is an indigenous rights activist and environmental defender from the Philippines. She has been defending land rights from grassroots to international levels for more than 20 years. Her main concerns include protection of land rights of indigenous peoples, ensuring sustainable development of natural resources and upholding human rights of marginalized people. She has actively participated in global processes to defend these concerns, including those related to the UN Framework Convention on Climate Change and REDD+. She has twice served as the Secretary General of the Asia Indigenous Peoples Pact (AIPP) and Chairperson of the Cordillera People’s Alliance. She was appointed by the UN Economic and Social Council as an indigenous expert and served as a member of the UN Permanent Forum on Indigenous Issues between 2014 and 2016. 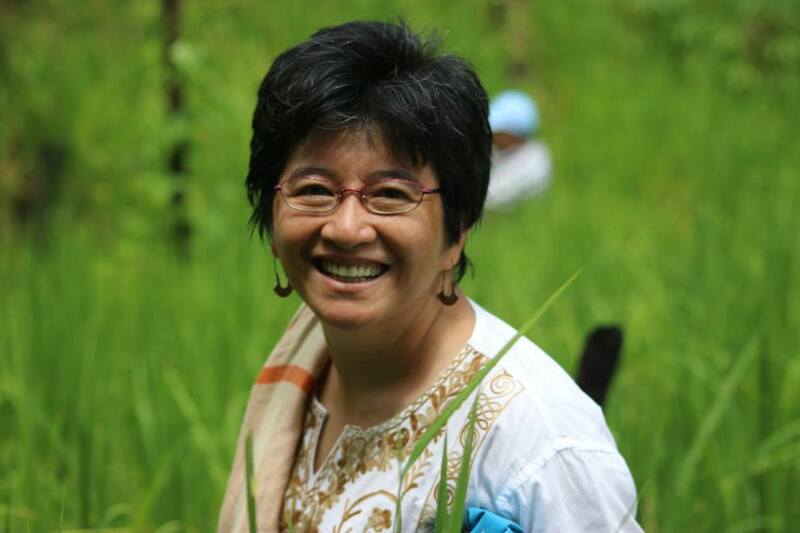 She is a member and co-convenor of the Indigenous Peoples Major Group for the Sustainable Development Goals. As an environmental defender, Joan has faced threats against her life and security. I have dedicated my life to teaching about human rights. I have spent much of it campaigning for environmental protection and sustainable development. So, I was surprised to learn that I was labelled as a terrorist. In February this year, I was placed on a list of alleged armed rebels in the Philippines. I haven’t been home since. It has uprooted me: I fear for the safety of my family and friends. But I need to stay more motivated than ever. I cannot give up the fight for my people. I am from the Kankanaey tribe of the northern region of Cordillera: the land of gold. Our land sits on a mineral belt, rich in gold, copper and manganese. It belongs to us, the indigenous peoples of the Cordillera. Yet, our natural resources and way of life are threatened by mining companies and other so-called “development projects”. As of July 2000, over half of the Cordillera land had mining applications pending. Selling our environment: at what cost? I spent my childhood in a remote forest under logging concession. Nomadic communities from the forest often visited, travelling up to six hours to exchange their sweet potato or other crops for rice or sugar, which they couldn’t grow themselves. My parents would offer a meal, and it was from these simple exchanges that I learned humility, reciprocity, and respect for our diverse indigenous communities and cultures. In my youth, I was inspired by the struggle against the construction of hydropower dams along the Chico River. If developed, these dams would have affected 16 towns and villages and displaced 100,000 tribal peoples, tearing apart their livelihoods and social fabric. Many of those who opposed the dam were jailed. Macli-ing Dulag, a Kalinga tribal leader, was assassinated. More killings took place in the name of national security and development. When I was at the University of the Philippines, I spent two months in the Kalinga tribal area who fought hard to stop the Chico dams. What I learned from indigenous communities is this: when we destroy our landscape, we destroy ourselves. By defending our land, we also defend our future and the generations to come. I was struck by their sense of community; their simple lifestyles, their cooperation and selflessness. Their culture and values are intrinsically linked to the land, their livelihood and identity just like my own kankanaey people. The way these people care for each other and the environment deeply moved and inspired me. Over the years, I’ve seen first-hand the environmental devastation caused by large dams and gold mining. To us, these are not development projects. They are not designed by us nor for us. This is just resource extraction. Mines leave massive toxic waste, and communities collapse.These projects cause mass displacement, worsen poverty and destroy the cultural heritage of our people. I’ve seen indigenous peoples living in remote villages silenced, unable to raise their voice to protect their land and the environment. I have worked with them for more than a decade to raise awareness, through protests and dialogue. We engaged with mining companies, dam builders, local authorities and the media, and formed support groups alliances for the protection of human rights and the environment. Despite the threats, risks, and more repression, I persevered in my work, along with other dedicated leaders. Time to strengthen our resilience! Through my work with communities in the Philippines, in Asia and beyond, I have realized that this is a global issue. We need to bring voices of indigenous peoples to the debate and raise them in front of policymakers. Indigenous environmental defenders are experiencing the devastating effects of militarization to give way to development projects. Indigenous leaders are jailed and killed, while communities are powerless. It’s heartbreaking, but it has also strengthened my commitment to work on human rights and environmental sustainability. Together with other leaders, we are strengthening our networks and capacities. We are building alliances to protect our rights and the environment. We are campaigning regionally and globally for human rights and sustainable resource management, community-based climate change adaptation and renewable energy. In this way, we are building our resilience. Indigenous peoples are not the enemies. We are not against development. We are conserving our environment for the future of humanity. But we cannot do this alone. The global community, governments, companies and civil society must act in solidarity, and assume responsibility for realizing sustainable development for all. This story was originally posted at the United Nations Environment Programme on September 26, 2018.